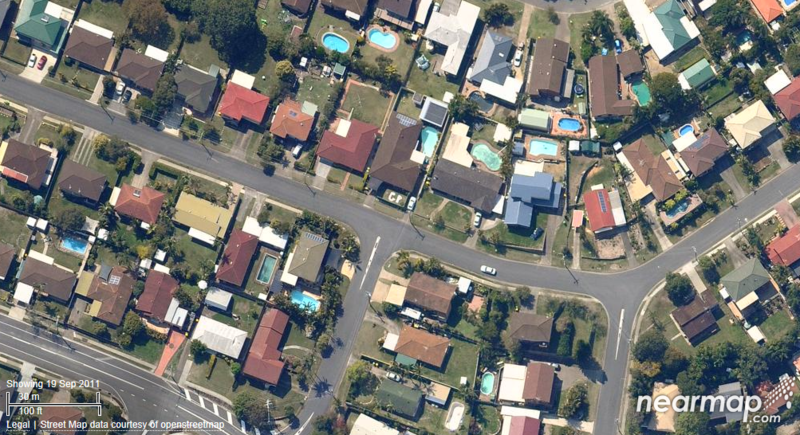 There is a company call Near Map that takes frequent high detail areal images of my suburb. 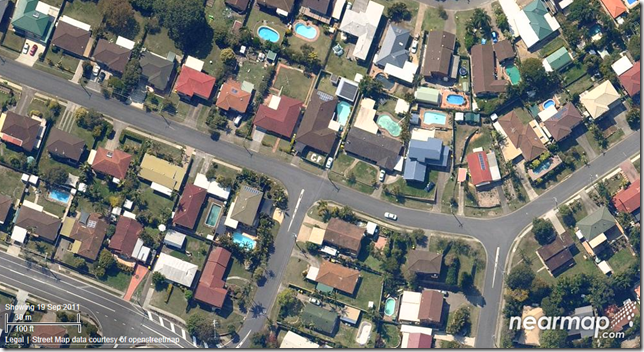 There also happen to have a twitter account ( @nearmap ) that announces when they are about to take a photos of certain regions. SO…. 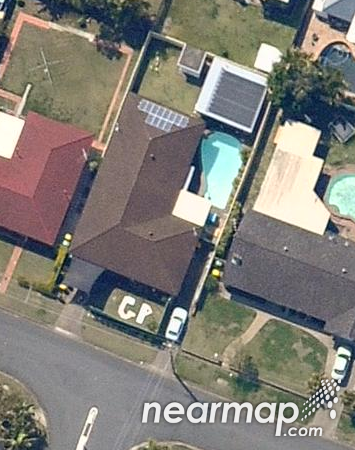 last time they took a photo of my area I raced out to the front yard to make a few letters. As I only have limited time and material to make out some letters I decided that I would spell out the initial of my favourite tech topic… Group Policy. 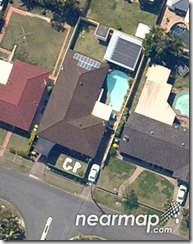 That’s my house… Can you tell I like “GP”. Love it! BTW, what do you have for solar? I’ve also been stalking them for this weeks Melbourne flights but they seem to have cut it short so far, although the weather’s been fine. Cool… Cannot do that in Singapore.